Anyone travel with a folding bicycle? I’m in the process of buying a Brompton folding bike (I love cycling, but sold my full-sized bike last year after a cycle trip across France since it was just too much trouble to be constantly packing and shipping it - the solution: folding bike!) and I’m wondering if anyone else travels with one? 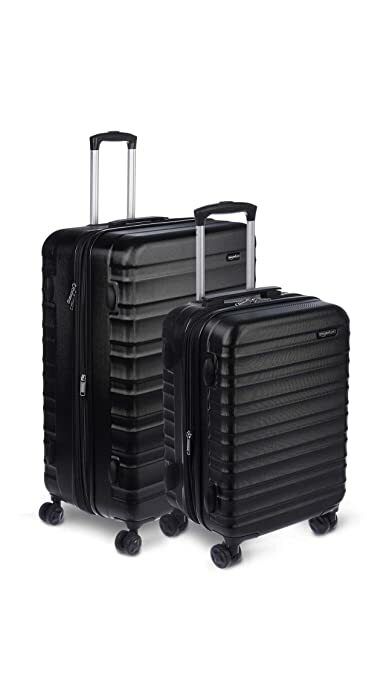 I’m trying to find a hard-sided suitcase that will fit the Brompton for plane travel and would love any recommendations! Most luggage is the wrong dimensions as far as I can tell, so hoping someone with first-hand experience might be out there to weigh in. A primer on how to take a Brompton on a plane as checked baggage using a standard-sized suitcase. Yeah, I have a dog, so I can’t take another carry-on. Was hoping for a good option for check-bag transport. The link has an example of checked baggage. So cool to take a dog! Oh, yeah, it does! Unfortunately, they don’t say what kind of suitcase it is (unless I missed it?). That’s the info I was looking for. Ooo yay! My husband and I both travel with Bromptons. We had trouble finding a hard suitcase when we first got them last year, so we ended up going with a soft case instead. We’ve checked them many times now on both short and long haul trips and never had any problems! We do pad out the bike a little bit in some areas, but we’ve talked to the manufacturer of our bags and they said they’ve never really used extra padding. The insert that comes with the bag is great too! We put all of our clothes in there so the bike bag is the only checked bag for each of us. The only thing that’s a bit tricky with this bag is that I find it a bit hard to wheel around (since it only has two back wheels.) We’ve been to their shop in Bangkok though and they’re apparently working on a four wheel version, but I have no idea when that will come out. Highly recommend anything from Vincita. Super durable bags and they have great customer service! Oh, and if you haven’t bought your Brompton yet, I highly recommend getting the telescoping seat post, the mounting block on the front, and the rear rack. They’re a bit extra, but we’ve found them to be really useful! Did you already buy the Brompton? I’m a big fan of the Dahon, much easier to pack in a case that is regulation sized. Had my X-27 in Bangkok for six months, Tokyo, LA, NYC, etc. Yep. Already purchased. It’s actually smaller than the Dahons I looked at…but perhaps they fold more rectangular? Don’t get me wrong, Brompton is a great bike! Congrats! it’s definitely more sturdy than most (not all) of the Dahons. The Dahons are often much more efficient overall as a tradeoff. FYI, You may have been at a dealer that had only a partial selection. I did my research online, not at a dealer. Been using a Brompton to bus and bike across Europe for last month. Working out pretty well. Very easy to fold up and transport in a bus (use IKEA Dimpa bags which are around $5). Wrapped up in bubble wrap to fly (no problems using British Airways). Also posted in Europe using Parcelmonkey (EUR65 to ship to UK from France). You travel with a dog and a bike? That is so awesome.